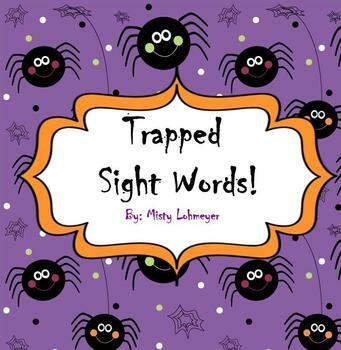 Motivate your students to read their sight words! This Halloween smartboard game can be used as a whole group activity or as a center. 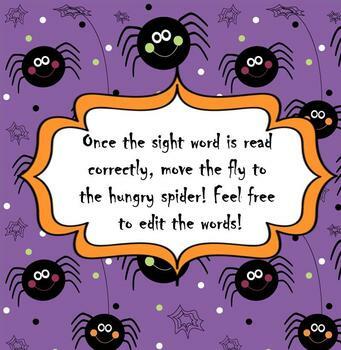 Once the student reads the sight word on the fly, they "feed" it to the spider. 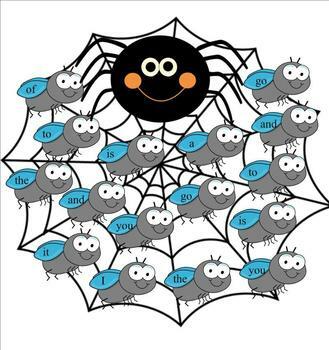 Once all the flies have been used, simply move the spider and replace the flies. Sight words may be edited to fit your classroom needs. This activity can be used with kindergarten, first and second grade students. This is part of my holiday smart board collection. Check out my download that contains holiday/season activities for the smart board for the entire year! Please feel free to contact me if you have any concerns or suggestions. Please check out my other products as well. Thank you for looking!